Recently, the American Legion Post 382 got the attention of the Florida Department of Business and Professional Regulation (DBPR). Unfortunately, the attention wasn’t positive. An inspector found five gambling machines on the American Legion grounds. Instead of confiscating the devices during its October visit, the DBPR gave the group a warning. The warning was issued by the DBPR’s Division of Alcoholic Beverages and Tobacco. The inspection was conducted at the Luneta Street branch in Navarre. The warning read: “You are hereby notified that it is a violation of Chapter 849, Florida Statutes, to allow or permit gambling implements or gambling activities on your licensed premises.” The notice containing the warning also stated that “Violations of this nature may result in criminal and/or administrative charges being filed.” This indicates that while the American Legion post was excused, the organization could face serious punishment in the future. That is, if the American Legion continues to allow gambling on its property. DBPR director of communications, Suellen Wilkins, also declined to respond. She was asked whether other American Legion posts were under investigation for gambling activity. American Legion officers at the Destin and Fort Walton Beach posts were also asked about possible illegal gambling. No officers were available for comment. An individual answering the phone at each of the locations denied that there were any gambling machines on any of the premises. 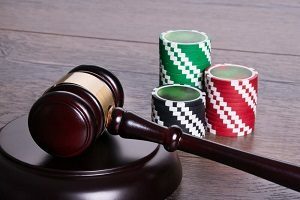 Although gambling is now causing some controversy in Florida, the state has a history of benefiting from gambling. Pari-mutuel betting was introduced in Florida in 1932. The game was made legal in more counties to bring money to the state during the Great Depression. This attracted more tourists to the state and helped to better the economy. Three years later, Jai-Alai was legalized. The game was introduced in Florida for the first time in 1926 at Miami Fronton. Jai-Alai was a legal sport, but it was illegal to bet on the game until 1935. Later in 1935, slot machines were made legal in Florida. The law was later repealed in 1973, and the slot machines were removed. In 1979, Indian bingo halls were legally introduced to Florida. This allowed the local Indian tribes to support themselves with gambling funds. Casinos have been a long-standing issue in Florida as well. The request for casinos was denied in 1978, 1986, and 1994. Years later, in 2004, voters in the state voted in favor of legal casino gambling. 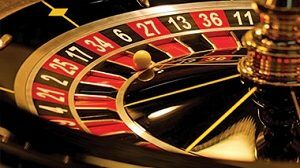 Florida now ranks 4 of 46 in US states that have gambling facilities. The state currently has 137 casinos. This includes cruise ships that feature casinos.